Regardless, I always succumb to my innate nail desire and grow my nails every so often. They aren't so bad, and I have come to accept them the way they are. On to today's post - wondering about the title I'm sure. 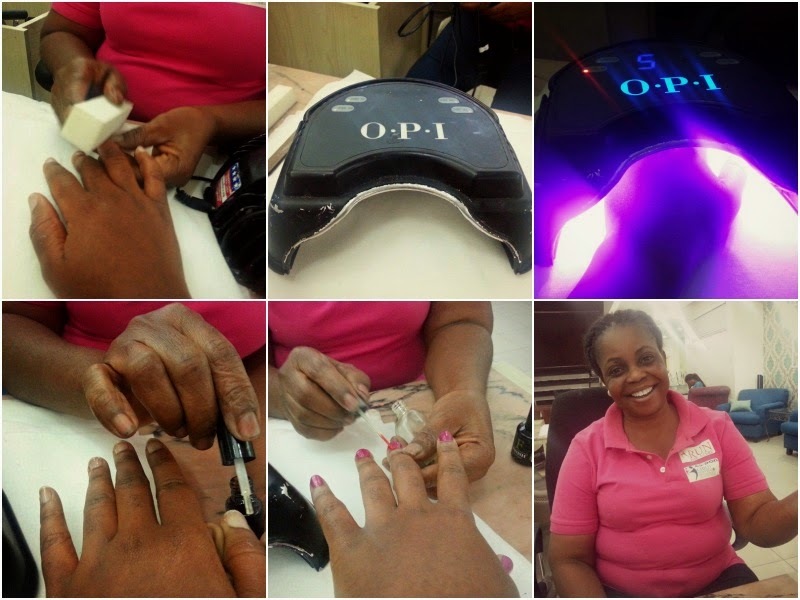 Well, as the Official Blogger for The Nail Studio VI, I get to experience ALL their services. I thought about what to call them and finally settled on 'thenailstudiofiles'. What do you guys think? My first adventure there was for my nails. As much as I love lovely nails, the most I have ever done to them has been to have a re-polish in a saloon while doing my hair (you can imagine how far back that was right?). The rest, I do in the comfort of my home. I wanted to try something different but didn't know what to try but a lovely lady suggested Shellac nails and I immediately agreed *rolls eyes* I didn't even know what Shellac was. I've heard about gel nails a couple of times but apparently Shellac is a safer version of gel nails formulated by Creative Nail Design (popularly known as CND). Gel nails are harder than Shellac and dry to a hard substance on the nails but Shellac looks natural, identical to regular nail polish. 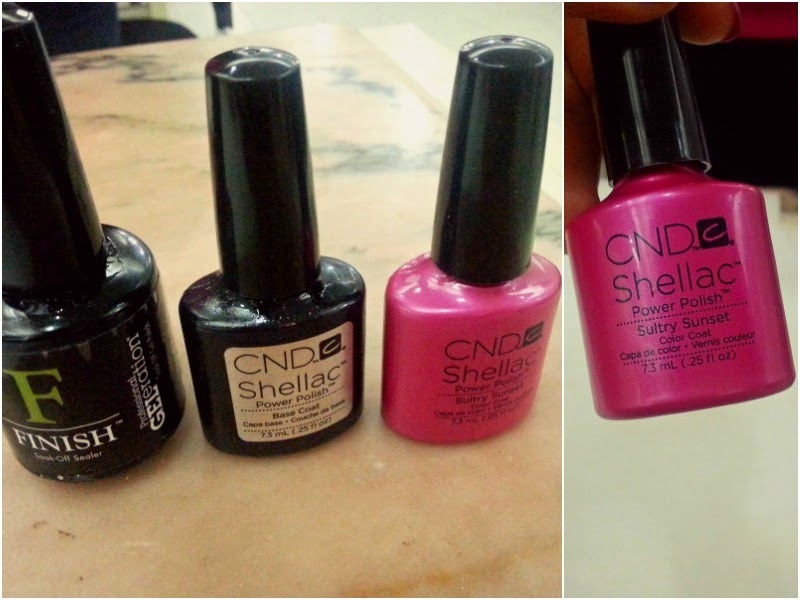 CND defines Shellac as being made from a formula they call 'Power Polish' which is a made up of UV cured and regular nail polish*. They also have specifications for removal too which is different from the bowl filled with acetone soaking required for gel nails removal. Imagine my surprise when I was asked if I lived in Lagos. My first response was why and was told I had to come back to the salon to take it off *rolls eyes*. My nails were first filed and buffed (gosh they were horrible before then, no before picture people, lol), then they were buffed and an antiseptic used to clean them thoroughly, the Shellac base coat was then applied to my nails - into the UV lamp for 60 seconds, the colour was applied after that - into the UV lamp for 60 seconds, a second coat of colour - into the UV lamp for 60 seconds and finally the top coat - this time, into the UV lamp for 120 seconds for full curing of the Shellac. I definitely could have chosen a more adventurous colour but it was my first time so I went safe instead and chose Sultry Sunset from the CND Shellac nails collection. What colour should I do next - red or yellow? Might I add that it's been about 4 days and I'm loving my nails, can't wait to try another colour on. 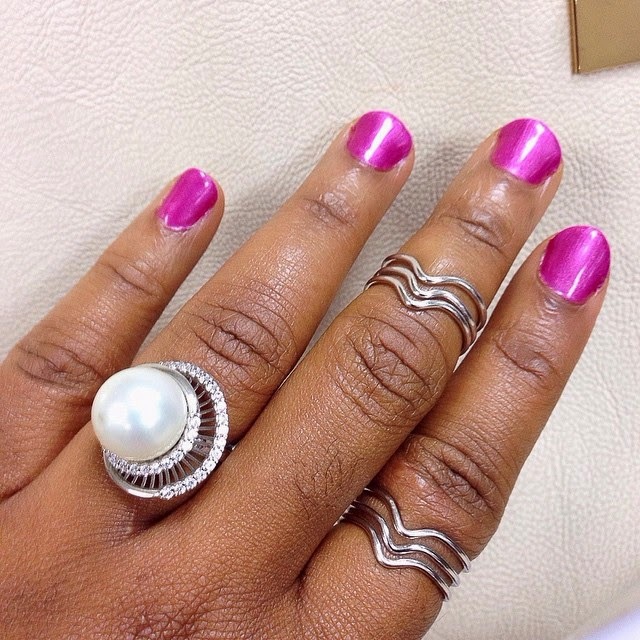 Can I do nail art with Shellac? 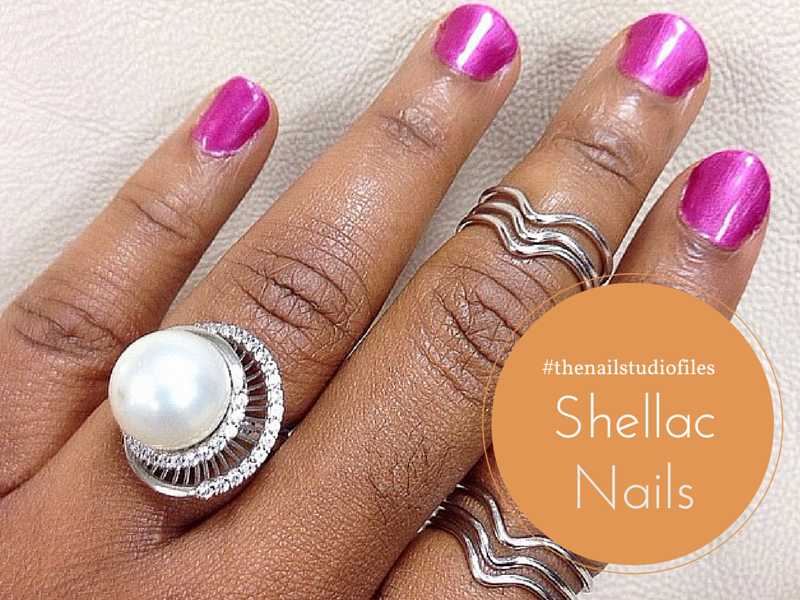 Shellac nails can be done at The Nail Studio, 9 Aboyade Cole street, Victoria Island, Lagos.